If nothing else than to appreciate the dedication of two sociologists who spent years following New York City con artists uncovering their secrets, this book by Williams and Milton follows in the precendent of many of their other projects in that it is immense and thoroughly researched. 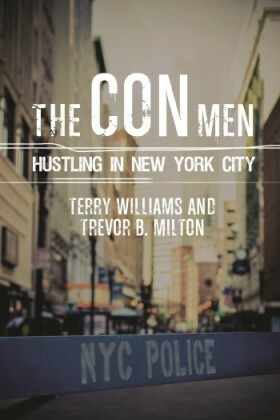 The Con Men: Hustling in New York City reads like the script to a reality television show and anyone who has not studied the psychology of con artists is in for a surprise with this book. This is certainly one of the more eccentric books on my list this month but a fun and easy read with moments of reflection in the stories and understandings of the human psyche and how you might be better prepared to face a world that does not always wish you well.